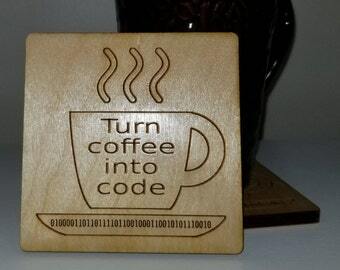 The binary code means "Coder"! What a fun gift for the computer programmer in your life! 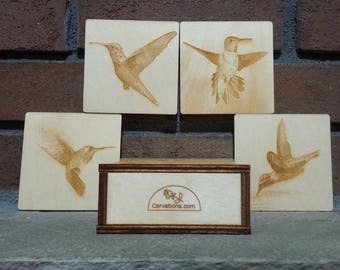 This item is a great gift for birthdays, Mother's Day or Father's Day. This item is made from baltic birch and measures 3 1/2 in. by 3 1/2 in. The coaster version of this item has cork feet to prevent skidding. The magnet version has two 3 inch strips of magnet and is ready to decorate your fridge. This item is hand wash only. The coaster version is safe for use within normal drinking range temperatures. This item should never be used as a trivet as wood is flammable! Wood is a natural product and some variation in color and grain pattern is expected between items. Shipping for this item is USPS First Class mail in the US only. Shipping for the first item is $3. Add $1 for each additional item. 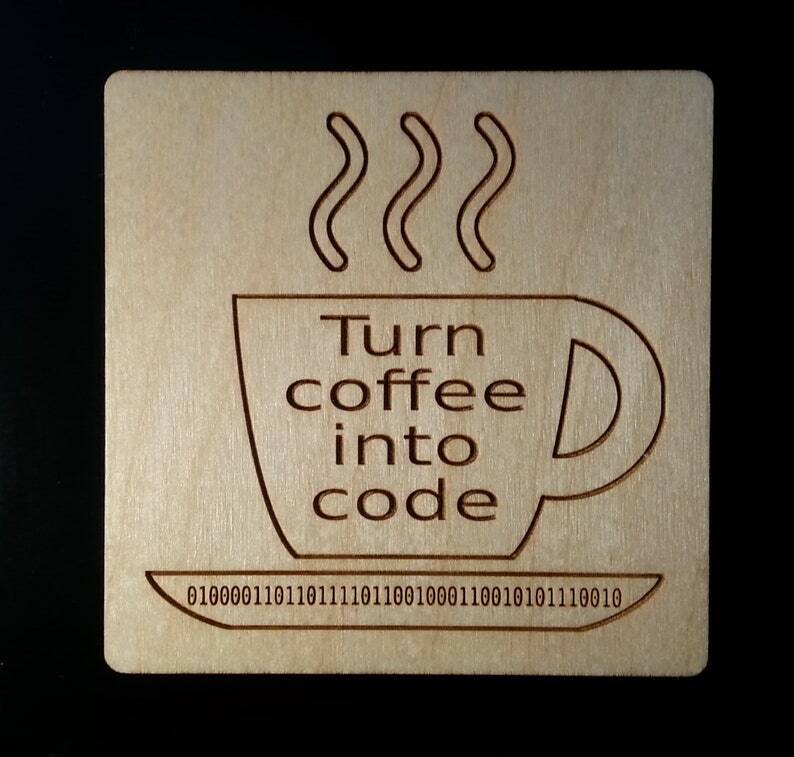 This image is from the full Turn Coffee into Code Coaster set. The listing for the full coaster set is located below. Note : The artwork on the front of this item is CC0 licensed and is not original but has been altered to fit the medium. Product was as described I just wish it would have had some type of clear material to cover the photo instead of just open to the elements. Very nice item! Great customer service! Jennifer was very accommodating in making the changes I needed for the picture I was using it for! How do I clean my wooden coasters? 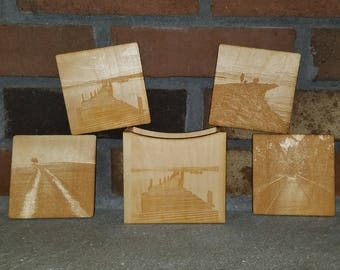 The wooden coasters should be wiped clean with water only, or water and mild detergent. Do not submerge the coasters in water as the cork feet may not hold up well in water. How do I clean my plaque? Remove dust with a dry cloth or a cloth dampened with water only. Chemical cleaning may damage the finish. Can I hang my plaque outside? No. It may become damaged if left in the elements. The item is intended as an interior home decoration. Where are the portrait plaque listings? We are in the process of developing our next generation of portrait plaques. If you would like to order a portrait plaque, please contact us through Etsy Convos.